Henrietta Lacks, a poor Southern tobacco farmer, was buried in an unmarked grave sixty years ago. Yet her cells - taken without her knowledge - became one of the most important tools in medical research. Known to science as HeLa, the first "immortal" human cells grown in culture are still alive today, and have been bought and sold by the millions. Rebecca Skloot takes us on an extraordinary journey from the "colored" ward of Johns Hopkins Hospital in the 1950s to East Baltimore today, where Henrietta's family struggles with her legacy. It's always a good feeling when you have the privilege of reading one excellent book right after another. With The Immortal Life of Henrietta Lacks by Rebecca Skloot, a selection for a face-to-face book club, I am continuing my winning ways. In The Immortal Life of Henrietta Lacks, Rebecca Skloot has written an intelligent, moving nonfiction narrative that tells the story of the Lacks family and the HeLa cells. Henrietta Lacks (1920-1951) was a poor African American woman who died from cancer in 1951 at Johns Hopkins Hospital in Baltimore. Without her consent, cells were taken from her cancerous cervical tumor at the free "colored" ward. These cells were given to a researcher who cultured them and created an immortal cell line used for medical research. The cell lines, called HeLa cells, have not only helped in vital medical research they have also made billions of dollars for the medical research industry. Henrietta's family, however, knew nothing about this cell line and once they learned about the "immortal" and living cell line twenty years after Henrietta's death, they had a multitude of misunderstandings, misgivings, and apprehensions concerning what this meant. They also wondered why there was no compensation provided to the family for these unique cells that were taken from Henrietta. It is an ironic fact that while the HeLa cells have been credited with a myriad of medical advancements, Henrietta's descendents cannot afford health insurance. The Immortal Life of Henrietta Lacks is a biography about the woman from whom this cell line originated but it also is about her family, racism, class, medical research and medical ethics. The narrative alternates between the personal story of the Lacks family and the scientific history of the HeLa cells. Scientific advancement and discovery is shown along side the darker side of unethical medical practices. 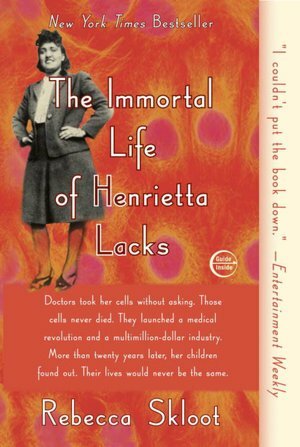 The Immortal Life of Henrietta Lacks has won several awards, including the 2010 Chicago Tribune Heartland Prize for Nonfiction, the 2010 Welcome Trust Book Prize, and the American Association for the Advancement of Science’s Award for Excellence in Science Writing, the 2011 Audie Award for Best Non-Fiction Audiobook, and a Medical Journalists’ Association Open Book Award. As many readers know, I always appreciate it when authors include a few extras. The Immortal Life of Henrietta Lacks includes a section on Where They Are Now, a note on the Henrietta Lacks Foundation, an Afterword, a Cast of Characters, Timeline, Acknowledgments, Notes, an Index, and a Reading Group Guide. No one knows who took that picture, but it’s appeared hundreds of times in magazines and science textbooks, on blogs and laboratory walls. She’s usually identified as Helen Lane, but often she has no name at all. She’s simply called HeLa, the code name given to the world’s first immortal human cells—her cells, cut from her cervix just months before she died. Her real name is Henrietta Lacks. Henrietta died in 1951 from a vicious case of cervical cancer, he told us. But before she died, a surgeon took samples of her tumor and put them in a petri dish. Scientists had been trying to keep human cells alive in culture for decades, but they all eventually died. Henrietta’s were different: they reproduced an entire generation every twenty-four hours, and they never stopped. They became the first immortal human cells ever grown in a laboratory. Oh yes, such a good book! So well written, and it almost feels like it can't be real. Yes, it really is one of the best! I so need to read this -- I don't often do non-fic, but this seems like the kind of book to make an exception for! Emmy had to read this last semester for her com class, I think. I was going to read it when she was done, but before I knew it it was time to sell her books & buy new. I wanted to read it though! May have to see if I can get this through the library. Audra - this is a great nonfiction book for people who don't normally read nonfiction! 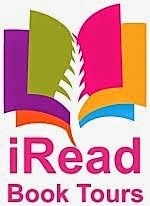 Jane - you have to read this book! I know your library would have it! If not, I could send you my copy after my book club discussion. My brother, who's studying Medical Science, is reading this book at the moment. I may have to borrow it off him when he's finished! Great review. This was our book club read last summer and it has so much to say about race and class in the US and the medical community. Great book.